What a Monday today was. 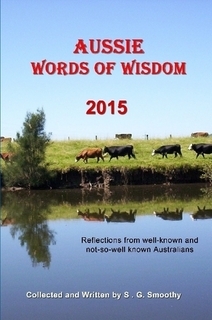 Not only did I eat cheesecake for lunch I found out I was published in a book of quotes for 2015. I first found out about this unique collection when last years collection came out and picked up a few copies just before Christmas. I wouldn’t have thought then that 12 months later I’d be seeing my own name and words in there. I am truly honored to have been included and look forward to reading all the quotes in this years book. They have just been released and you can grab your copy here.